Maybe you are just starting your fat loss journey, or maybe you are well on your way. Maybe you have hit a plateau, or just need to change things up. Whether you have 100 lbs to lose or 10, you have come to the right place. Weight loss isn’t just about being skinny – it’s about gaining the mental fortitude to handle the temptations that used to slap you in the face and become who you were always meant to be. Weight loss is fairly simple when you break it down: calories in versus calories out. I think we all know by now that creating a caloric deficit is the ultimate goal, right? But despite whatever crazy diet and training plan you may have been thinking of trying up until now, getting the most out of every training session, every step, every calorie, is what will ultimately make you stand out and be STRONG. 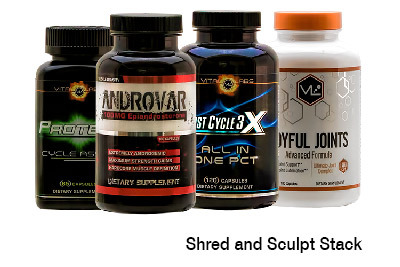 Here you will find a comprehensive weight training, cardio, diet, and supplementation guide to create your own success story. No matter what anyone tries to tell you, diet is the single most important factor when it comes to weight loss. I don’t mean eating cabbage soup for every meal, or drinking weird green juices instead of breakfast. Your diet refers to what you consume on a daily basis, not just a restrictive method of torture you feel like you have to put yourself through in order to look the way you want. When you feed your body with proper nutrition, your cravings will begin to go away and you won’t feel the unnecessary rumblings of hunger given off by your stomach protesting less food. The focus of your diet should be clean, fresh foods that will fuel your body and your workouts. Deprivation is not the key word here, so focus on what you can eat, not what you can’t. Choose foods that have fewer than five ingredients, preferably ones that you can pronounce. Fresh fruit and vegetables, whole grains like oatmeal, sweet potatoes, and brown rice, and lean meats and protein sources are optimal choices. The first step in creating your diet is figuring out how many calories you should be consuming per day. Once you know how many calories you need to consume per day to maintain your weight, calculate your deficit. One pound equals about 3,500 calories. So to lose one pound per week, you need to cut 500 calories per day (7 days x 500 calories = 3,500 calories). To lose 1.5 lbs per week, cut 750 per day. And to lose 2 lbs per week, you must cut 1,000 calories per day. A healthy rate of weight loss is 1-2lbs per week, so make sure you are not creating a greater deficit than that. Now that you know how much you need to eat to lose weight, what should you be eating and when? The simplest answer is to fit your meals in according to your schedule. While the 5-6 small meals a day is a popular diet plan, if your lifestyle does not allow you to eat that many times per day, stick to eating three slightly larger meals. As long as you are staying within your calorie range and eating whole, nutrient-dense foods, you will see the results. Aim to eat breakfast within an hour of waking to rev up your metabolism. And while we’re at it, forget the old myth that eating after 8pm makes you fat. Your body does not sit and look at the clock and think “it’s 8pm, time to start storing fat!” – it just knows it is getting fuel. With that in mind, try to have your last meal 2-3 hours before bedtime because your if your body has to digest food while sleeping, the quality of sleep will be negatively affected. Make sure you are getting an even mixture of carbohydrates (your body’s primary source of fuel), protein (build and maintain muscle mass), and healthy fats (to aid digestion and increase satiety) throughout the day. Here is a sample meal plan for a woman weighing 160lbs who is lightly active, trying to lose one pound per week. Her TEE = 2400, so she needs to consume 1,900 calories per day. Cardio is probably the most common exercise adopted by those wanting to lose weight. Whether you run, bike, hit the elliptical, or swim laps, cardio is a necessary component of any weight loss program. You don’t need to kill yourself – hours of cardio is counterproductive. You will wear yourself down and end up needing more calories to keep your body from heading into survival mode. Aim for 3-5 sessions per week of moderate to vigorous effort. Sitting on an incumbent bike while leisurely chatting with your neighbor is not going to cut it. If you want to see the results, you have to work. So put on your headphones, find a playlist with a solid beat, and get to it. You shouldn’t be able to talk more than a sentence or two if someone tried to start a conversation. If you find you are hitting a plateau, only have a limited amount of time to exercise, or really, really hate cardio, give High Intensity Interval Training, or HIIT, a try. HIIT has been shown to burn more fat than longer durations of steady state cardio when performed correctly. Similar to weight training, your body will continue to burn more calories after the training session in addition to whatever is burned while actually completing the activity. HIIT basically consists of an all-out, balls to the wall sprint, followed by a slightly longer recovery period. For example, if you are on a treadmill, sprint at your fastest possible pace for 30 seconds, followed by a recovery jog for one minute. If your sprint is a 10, make the recovery jog around a 5-6. Repeat for fifteen minutes total, or 10 rounds, and finish with a 3-5 minute cool down walk. 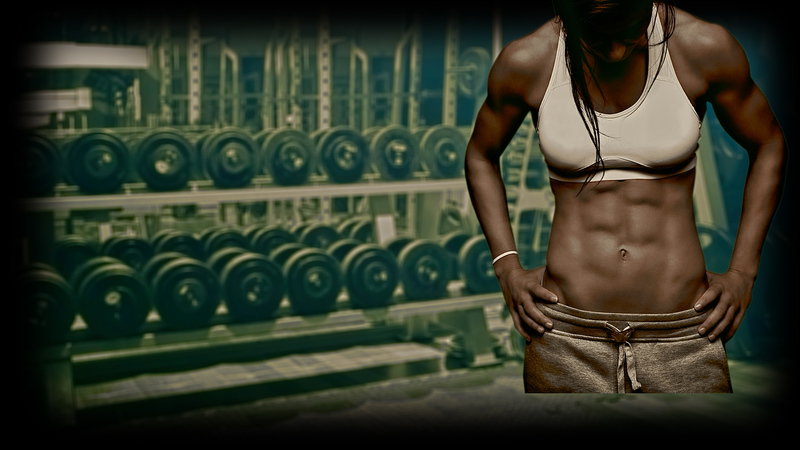 Weight training is probably the second most important component of a weight loss plan, behind watching what you eat. Not only does it increase your muscle mass which in turn increases the amount of calories you burn at rest, it also ensures you will have a hot, toned body left when the fat melts away. The problem most cardio bunnies and dieters who eschew a weight regimen face is that when they finally reach their goal weight, they are left merely as smaller versions of their bigger selves. There is no shape underneath because they failed to build one. That’s where the weights come in. While you can’t spot reduce (sorry, no amount of crunches will make those abs peak through until the fat is gone), you definitely can control the shape of your musculature. No one just has jacked arms or killer legs – those are developed on the weight floor. When weight loss is your primary goal, aim to hit the weights three days a week with an emphasis on compound movements – that is, exercises that hit more than one muscle group at a time. Choosing exercises that recruit multiple muscle groups will lead to a higher calorie burn, Additionally, circuit training can also be an effective way to get your heart rate up while hitting all the muscle groups in a shorter amount of time. Because your goal is to keep moving (increase your heart rate and therefore your overall calorie burn) and to add some muscle, rest periods should be kept to a minimum, about 30-60 seconds at the end of a set or circuit. Lift as heavy as you can to increase the metabolic workload, but be sure you are able to maintain proper form through all the exercises. If you notice your form is slipping, swallow your pride and drop the weight. No injury is worth your ego. Circuit Training for Weight Loss – perform 3 rounds, 15 reps of each exercise; rest only when the round is over for no more than 60 seconds. If you find yourself hitting a plateau, especially when you get to those last stubborn 10-20 lbs, it’s time to up your supplement arsenal to kick your body into high gear. A fat burner will not only help suppress your appetite, but will also boost your metabolism when simply dieting and exercising no longer seem to have an effect. Despite its name, a fat burner alone will not do the work for you – you still have to put in your hours at the gym and in the kitchen. The ingredients are designed to work with your body to enhance metabolism and fat loss while providing a steady stream of energy. Aside from using the scale, you should be taking measurements and progress photos monthly. Sometimes you may not see the scale moving, and that can be a huge deterrent. But that doesn’t mean you aren’t making changes. Take photos in either a bathing suit or shorts and a sports bra (women) from the front, side, and back. Try to wear similar clothing in the same spot with similar lighting. Losing inches means a lot more than a number on the scale. If you feel that your progress is slowing down or you stop losing weight for a few weeks in a row, try changing things up. Do you normally lift 20lb dumbbells? Try 25’s this week. Is the elliptical your preferred cardio machine? Next time use the stairmaster. You can also reevaluate your diet. If you have lost 20lbs, you no longer need as much food. Recheck how much you should be eating using the formula above. If none of that seems to work, make sure you really are eating what you think you are. Measure and weigh all food you eat. Track it – even those little extras like the peanut butter you licked off the knife when making your son’s sandwich for school or the bite of your friend’s burger you tried at lunch. It all adds up. Consistency is the key – whether you have ten pounds to lose or a hundred, following a solid program will get you where you want to be. Are you ready to commit to getting in the best shape of your life? Comment below with I AM STRONG and share your before and after photos with us. Hi Jon- Thank you for your question. For the vast majority of healthy adults a caloric deficit (burning more calories than you take in) results in weight loss. If that is not the case for you, then you can consider a few things, however, it would be a very good idea to discuss it with your doctor and get a physical exam as your result is not the norm. Here are some other items to consider. This is not an exhaustive list, nor will this apply to everyone equally. 1. Are you putting things in your body that are affecting your metabolism? For example some medications can have this effect; even diet soda or some food additives can have this effect as well. 2. Do you have an issue with your thyroid? Again, seek a doctor’s advice for treatment. 3. Are you putting your body into starvation mode? Sometimes if our bodies don’t get enough calories they hold onto them. It is believed this evolutionary process is from the days when food was scarce, it is/was a survival mechanism. Your body may need more calories than you think. Talking this over with a doctor is probably a good idea as well. Jon, and everyone reading this, no matter your age I believe one of the best things you can do for your health and happiness is to get an annual physical. I know, it costs money – good money, but I think the bigger reason many people don’t get an annual physical is they are afraid what the doctor will find or say. I am writing this from experience, I didn’t realize how good I could feel and how much better I could look, not to mention the massive energy boost I got from working with my doctor to get my body into balance. Besides, if there is an issue you can hopefully catch it early before it becomes detrimental. Then you are doing the math wrong. There is no way you are on a deficit and not losing weight. It can’t physically happen. It’s not scientifically possible. You might just not be losing as fast as you want or you are not burning as much as you think. Hi Amy – Thank you for your question. First, sorry for your injury. This is a tough question because I have no idea about your physical state other than you are injured. Therefore, I have to say it would be best for you to talk to your doctor about ways you can get your cardio workout in. I had a shoulder injury one time and I did HIIT cardio on a bike in the gym; it got me through it. My point is there is probably something you can do safely, but you need to discuss that with your physician first. Weight loss is NOT “calories in = calories out”, because for some people, when they reduce their calories, their body perceives that as STARVATION, and then reduces their metabolic burn rate, thus resulting in NO weight loss! This is proven millions of times daily across the planet! This is now scientific FACT that few experts know, or are willing to accept, because they have always believed the old dogma of Calories in = calories out. Your statement is not really correct, although our amazing bodies do many things to compensate for many changes in state. If your body goes into “STARVATION” mode it does not hold on to calories, rather it tends to store fat. Think about it, your body burns/uses calories as it expends energy, if it did not use/burn calories our bodies would cease to function. Now to your point, if the body does go into starvation mode, it will steal calories from lesser used stores [this is a very simplistic explanation], in fact brain function often suffers in such cases. The point of the article is to express the need to eat regularly and consistently so that you don’t put your body into a less efficient state, in which case its easier to create a calorie deficit to not only lose weight but also lose fat. In doing so you will also be developing good eating habits. I just want to say Thank you for the information I’m very Grateful! Now: what kind of fat burner do you recommend for female? I’m 45 and it’s been very hard to loose 20 pounds I’ have been carrying over weight. I eat pretty clean but I haven’t been consistently on my exercises. Workout 1-3 time for 1 hr and then let go for a week . Used to spend 2-3 hrs at the gym but my original gym closed and I don’t like the new one. Hi Idalisa- Thank you for your question. Good job on eating clean and making the attempt to workout regularly. Ultimately, weight loss comes down to diet and exercise; however, supplementing with a fat burner can be a huge help for many people. If you can handle a highly stimulative product, the highest ranked and best selling fat burner is Alpha Lean-7. If you go with Alpha Lean-7, then take only a 1/4 or 1/2 dose to start so as to gauge your tolerance. Many customers swear by Alpha Lean-7 and get great results (checkout the reviews). If you want something less stimulative or non-stimulative checkout out Corti-Combat or Lean Extreme, customers seem to like these. Also, I highly suggest you contact our Pro Support Team to get dialed in suggestions based on your individual characteristics and needs. Hi Charlotte – Thank you for your comment. Of course we already knew you were!!! I just can’t seem to lose this belly fat. I work out 3-4 times a week, and I’m active alnost every day cause of my job. My legs, arms, and back are looking pretty toned, but I still have this gut that is annoying me. I’ve tried counting calories, but that doesn’t seem to help. I’m at a loss on what to do. How can I get rid of my belly fat and tone up my stomach without starving myself?? Thanks for your question! 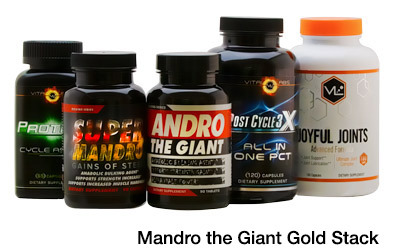 Are you taking any supplements at the moment? Without knowing what your current nutrition looks like, it’s hard for us to give an exact answer. At first glance it would seem that your nutrition is probably off somewhere. If counting calories isn’t for you (which, let’s face it, is pretty rough anyway), macros are probably going to be more troublesome to count. In this case, you may want to try simply cleaning up your diet, meaning getting the majority of your food intake from unprocessed, whole foods with few, if any, added ingredients. If you aren’t trying to lose any weight, but rather get rid of the fat, start with just that adjustment to your diet. You can add in a fat burner like Alpha Lean 7 to help shed those final few pounds or inches. I’m not strong I need help after 20 yrs of eating the wrong things. I do t know where to start. Drs say lose weight to get weight loss surgery. Ugh help. Hi Diane – Thank you for your question. First, congratulations on taking the first steps toward getting strong! It sounds like you have been to the doctor and you are now ready to make some changes – you are going to love the new you so stay on course. Given that doctors are telling you to lose weight I must defer to them and tell you to follow their directions. 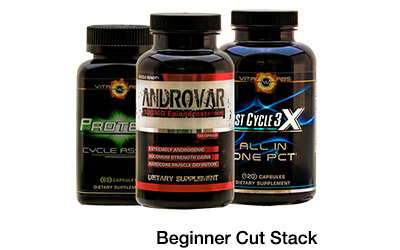 I don’t think you should start any supplementation, diet or workouts without their guidance. Your doctor knows you better than we do and can monitor and advise you in ways we cannot. Hi Joe – Thank you for your comment. We’re with you brother! I’m 205 and 5ft 8in need to lose 15 pounds. Hi Edward – Thank you for your question. IMO, your first step needs to be to the doctor to get a full physical. I know its hard, it takes time and for sure its a bit scary, but given your weight and physical health state (knee etc) you should get a professional assessment of where you are. You should also talk to your Orthopedic Surgeon or Physical Therapist to get an understanding of not only what movements you can do but how you should move so as not to re-injure you knee. After getting an assessment you should have the information you need to set some goals and develop a meal and exercise plan for reaching them. By that I mean setting the ultimate goal, say 180 lbs and a physique of hard lean muscle, and AS IMPORTANT the intermediate goals, which will act as stepping stones toward your ultimate goal. You see given your physical state you may need to start slower before you pour it on. Doing it this way will make your experience so much better and your chance of reaching your ultimate goal many times greater. Once you get your health condition straight, because frankly you MAY find you have high cholesterol, blood pressure or diabetes to handle before you can really make the ultimate goal happen. Once you have your arms around your health then we can talk about really putting on a program that is going to help build you into the physical and mental specimen you dream of being. That’s right, I said, “mental”, because you need to make some changes about how you look at yourself and you attitude toward your health as well. “Change the way you look at the world and your world will change around you”…Wayne Dyer.